Why is there so much confusion over marketing technology? One of the biggest challenges for marketers is how to embrace technology. As CMOs are seen to be bigger spenders on technology that their equivalent CIOs or CTOs, many marketers are struggling with the best approach to transforming their digital marketing to marketing in a digital age. Questions on: What technology to invest in? Finding the best process to implement it? Who to manage it? And how to measure the effectiveness? These are just some of the barriers marketers are facing and finding it incredibly difficult to find the right answers. 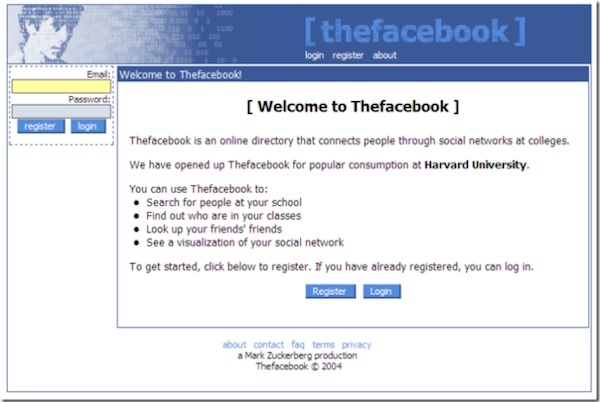 It is easy to forget that companies like Twitter, Instagram and Pinterest did not exist a decade ago or that Facebook was only launched in 2004. (See below) Yet today they are considered significant media opportunities, but they are unlike any media most senior marketers ever grew up with. On top of the changes that have already occurred, new technologies and innovations are announced on a weekly basis with hundreds of start-ups seemingly springing up each week, all offering new opportunities. For time poor marketers just dealing with the options they have now, being able to invest any time at all in keeping even a little abreast of these changes, let alone the implications for their marketing plan and their category, is next to impossible. Yet there is an expectation from management and the industry that today’s CMO will not only be across all of these innovations, but will have a working understanding of the new opportunities and a viewpoint on which ones to use and how these will be integrated into their marketing strategy. Big data, Automated Marketing, Programmatic buying, Trading Desks, Content Management Systems, Wearable Tech are just some of the relatively new concepts that marketers are dealing with. But underpinning these concepts is the technology category with a language all of its own. For marketers to be able to navigate their way through this tech category they need to learn a new language, the language of the Programmer, the IT specialist, the statistician and mathematician, the technologist and the systems architect. Most of these languages are obscure and alien, with their own code words and phases, a sea of TLA and shorthand terms and phrases created by those on the inside to keep others on the outside. Even when a marketer identifies their requirements, there is then a huge array of choices in manufacturer, service provider or platform type. 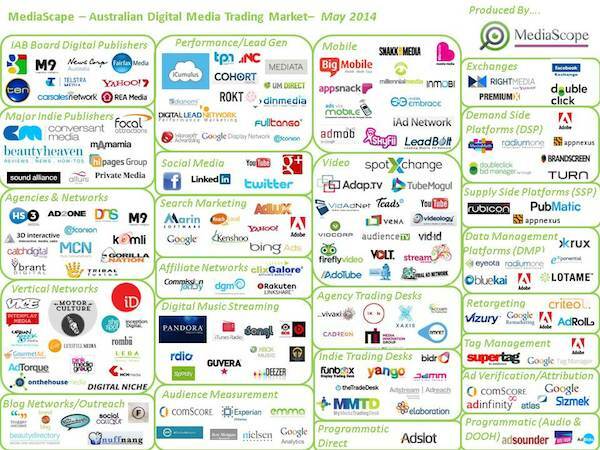 By way of relatively simple example, my friend and colleague at MediaScope keeps a track of digital service providers in Australia and makes these available through the MediaScope website. 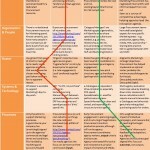 Here is just one of her many market place diagrams that show the huge complexity of choice already available. The problem for marketers is having the language, expertise and time to be able to wade through the various options and understand the specific functional requirements and the broader compatibility issues. This is why marketers rely heavily on those around them to provide advice on direction. But this is a problem in itself. Much has been made for the need of the CMO and the CIO to become close colleagues in a world of technology driven marketing. But this is often difficult for a number of reasons. The first is, as already mentioned, they are often talking different languages. The axiology of the IT department is that of the engineer and the programmer and not the marketer. Second, the IT department will have responsibility across the whole enterprise and marketing is only one small part of this. When managing highly sensitive areas such as finance and operations, where risk mitigation is a high priority, the IT approach to marketing can often be seen as heavily risk adverse, limiting innovation in the marketing segment. Third, within many organisations, capital expenditure (CapEx) on IT infrastructure often sits with IT and yet marketing is increasingly responsible for spend in this area. The battle for control over the IT CapEx is a power struggle in many organisations. Having said that, where the CIO and CMO work together, with the CIO taking on the role of trusted adviser to the CMOs requirements, this operates incredibly efficiently as the marketing infrastructure is more efficiently integrated into the overall enterprise architecture. AdTech or Advertising Technology Conferences / Seminars have been around for quite a few years now and are a source of information for marketers looking to build and integrate technology solutions. The problem is that in this marketplace, like most marketplaces, each vendor proclaims to have the best solution for the marketer’s problem. Trying to get independent and objective advice from manufacturers, sellers and re-sellers is next to impossible. Sure, most provide functional comparisons of their system versus the competitive system, but as any marketer knows, all those ticks in the boxes depends on selecting the criteria that makes your system more favourable. Unlike other categories, choosing the system or supplier that is tried and tested by time can simply mean being out-of-date as the pace of change and technical innovation drives innovations and improvements. Many marketers turn to their agencies for advice here, especially their digital or technology specialist agencies, believing they will be up-to-date. Of course the good agencies are across the latest innovations in the market place. But they are also often aligned to a specific manufacturer or service provider, either formally with re-seller agreements and certifications or informally with a preference for particular systems and platforms based on past experience. The problem is that it means the solution recommendations are often driven by what the agency knows or prefers rather than what is the best solution for the marketer’s needs. The most obvious manifestation of this can be seen when we undertake a web-content or asset audit and find sites spread over multiple web-content-platforms, some of which are either inappropriate for a large enterprise or are no longer supported as they fell out of favour. Reading the industry journals and websites is a great source of industry news, but it is not always the best source of advice on technology. The issue is that they are driven by the desire to provide the news, being what is new or newsworthy to the industry. This focuses on ‘start-ups’ that have captured the industry’s imagination or have been acquired for mind-boggling sums, or repeating press releases from the manufacturers and service providers on their latest improvements and innovations. What the trade press can be valuable for is doing research on which large organisations are using which systems (sales are often announced in press releases) or even which are the more popular technology solutions in the market place (again another news story). But again, it is important to know who is providing the information and determine if it is truly independent and substantiated. After all, too many press releases simply get published without any critical interrogation and too many opinion pieces and articles are simply ‘native’ advertising for a particular supplier. There are of course publications that specialise in advertising technology and provide informed advice and category comparisons. Apart from the fact that most use the language of the IT department rather than the Marketing department, the same issues apply regarding source and context. Are they suitably qualified and informed in the category you are interested in? Do they understand your specific needs and challenges, including any legacy systems or platforms you currently use? Can they communicate in plain language that is easy for you to understand, rather than get bogged down with tech-jargon? Do they have any affiliations, vested interests or commercial arrangements that could colour their recommendations or advice? What is the total cost of this advice, including on-going fees for implementation, sales commissions or project management? Who else have they provided this information or advice to previously? Ultimately, the best place to start is your in-house IT colleagues. Hopefully they are able to meet most or all of these criteria. If not, then consider obtaining third party advice, but make sure you understand the perspective and context in which it is provided. At TrinityP3 we have helped quite a few of our clients navigate this process. Not just providing independent advice, but assisting in obtaining advice and understanding the context and the perspective in which it is provided so they are better able to make an informed decision. We have also worked with individual CMOs, Marketing Directors and senior marketers with advice and information on the choices available to them with total independence. What sources of technology information do you use?